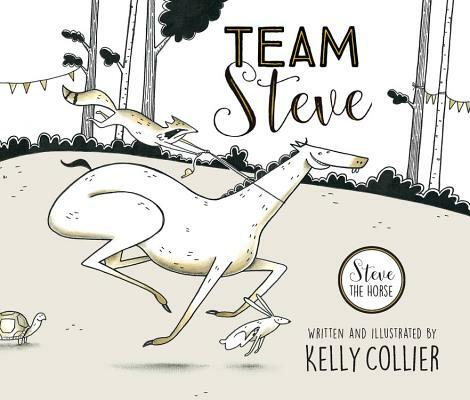 This delightful picture book story from Kelly Collier about the lovable --- if sometimes self-absorbed --- horse named Steve is laugh-out-loud funny. Every page features humorous and cleverly designed interplay between the illustrations and commentary, as well a few definitions (such as powerful hindquarters: ?That means strong bum muscles?) that provide vocabulary enrichment. The humor and the edge-of-the-seat description of the race make this a fantastic read-aloud pick. It also works as a great discussion starter on the topic of sportsmanship and on the character education skill of teamwork. Kelly Collier has been drawing since she was little and studied Illustration in college. Kelly lives in Toronto, Ontario, with her husband and their dog.